When we think of cutting edge and memorable cultural institutions, the mind wanders to the the likes of the Louvre in Paris, The Metropolitan in New York or even London’s National Portrait Gallery, but now It would seem that Cape Town wants a lasting and acclaimed place on the Art map too. With Cape Town’s V&A Waterfront and German-born businessman Jochen Zeitz’s new partnership, the world waits in anticipation to see the visionary creation of Zeitz’s Museum of Contemporary Art Africa (MOCAA) unfold. 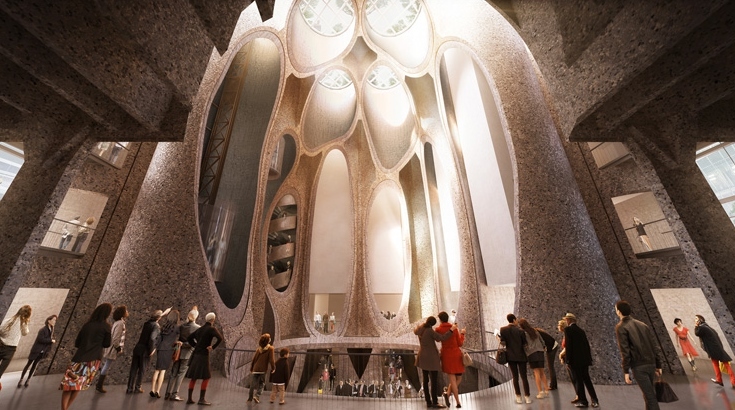 An announcement was made in February 2014, stating that UK Architect Thomas Heatherwick will be leading this extraordinary project transforming Cape Town’s historic Waterfront Grain Silo, into an incredible new Art gallery. This highly visionary designer and his architectural team have conceptualised numerous architectural wanders, many of which you are likely to have seen or experienced for yourselves. These include the 2012 Olympic Cauldron, London’s New Routemaster bus, the UK’s Pavilion for the 2010 Expo in Shanghai and the up-and-coming Garden Bridge across the River Thames. Renowned for creating spaces and sculptures that are intimately connected to a sense of national or local identity, the team now takes on the daunting task of transforming Cape Town’s historic Waterfront Grain Silo into an elegant, integrated design, dedicated to using the materials at hand, researching the culture and locale that will truly make this architecture stand out and putting Cape Town firmly on the global Art map. With a plan to exhibit top installations and works by leading artists such as Marlene Dumas, Nandipha Mntambo and Kudzanai Chiurai, this gallery will house some incredible pieces set to delight, enchant and challenge perceptions of Contemporary African Art. Retaining the buildings history and cultural elements whilst showcasing such masterpieces, is an exciting challenge that lies ahead, carefully juxtaposing Africa’s history and heritage with modernist takes on space and light. With the buildings densely packed Silos dominating the interior it has been decided that the team will carve galleries and spaces out of the concrete tubes creating “a cathedral-like atrium filled with light” paired with visions to produce a vast and awe inspiring gallery space worthy of its Artistic inhabitants. This new and exciting gallery is due to open in 2016. Brown and Hudson have crafted some incredibly rich and lasting travel stories for clients in South Africa’s second city and whilst we already feel it is amongst one of the most beautiful in the world, we are truly excited to see the development of such an exciting and inspiring project in one of our most favoured cities on earth. If you are thinking of travelling to South Africa here is some inspiration. No matter what your tastes, passions, hobbies or desires we will craft a bespoke travel experience tailored to your personal interests.